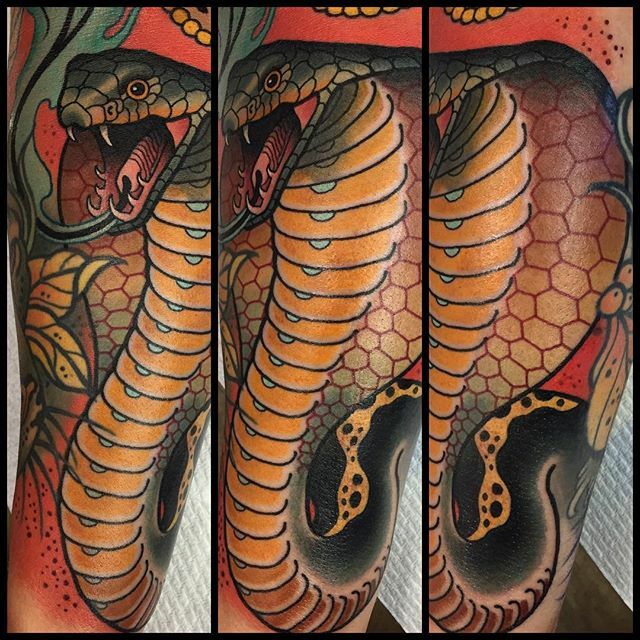 Snake tattoo designs have been one of the staples of the tattoo industry since time immemorial and nothing screams “classic tattoo” more than a snake inked onto your body. Even though biblically, the snake is perceived as a creature of evil, cultures across the globe revere the snake as a peaceful animal that can move gracefully against the soil. 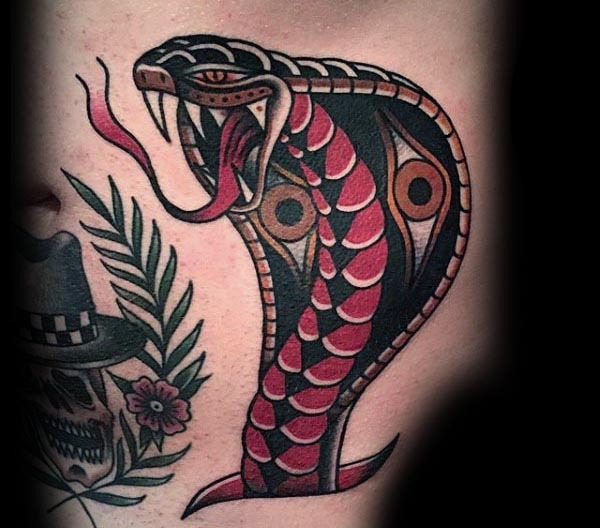 With various cultures lionizing the snake it came to no surprise that snake tattoos have a significant foothold in the skin of tattoo artists and enthusiasts. 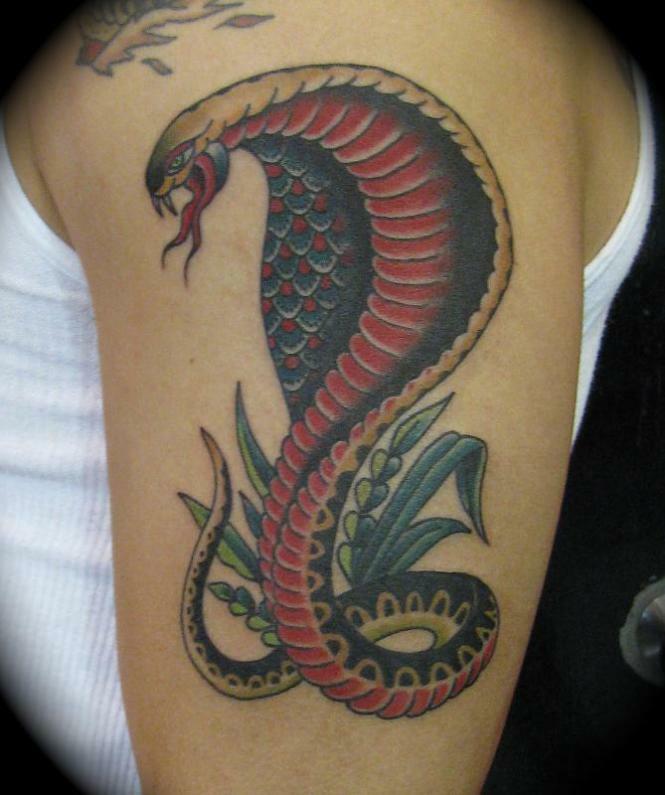 In this article, we will give you ideas for your next snake tattoo design as well as the background and meaning of a snake tattoo. 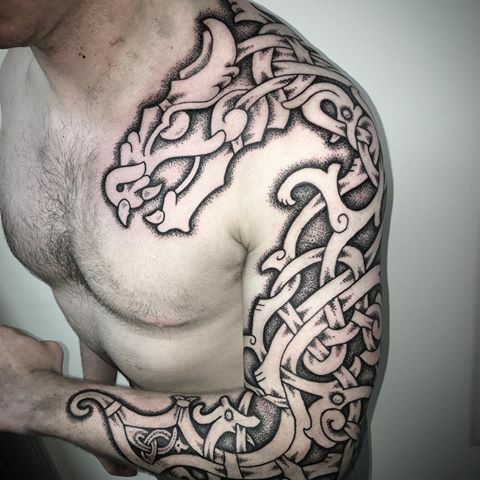 We will also discuss here the perfect body placement for this kind of tattoo. Snakes are long, slender, legless reptiles that are carnivorous. They existed from the Late Cretaceous Epoch until the present day and is considered an ancient animal by some. Their head can expand to multiple times its original size to accommodate their prey. Most snakes also have venom that they would use when attacking their prey to quicken the death process. Because of this, snakes are often depicted as an evil creature lurking in the dark corners of jungles and forests while waiting for their next meal. Snakes are often portrayed as a beastly creature in films and other forms of art. In “Harry Potter and the Chamber of Secrets” for example, the Basilisk, a large snake-like monster terrorizes Hogwarts by lurking inside the pipes and looking for students to petrify or kill with its eyes. Most will probably recognize the Anaconda series as the “Mother of all Snake Films”. The film features a fictional giant anaconda that lurks in the murky waters of the Amazon Rainforest. The anaconda in the film is depicted as a monster that eats unsuspected humans in the darkness of the night. Another film that would add to the notoriety of snakes is “Snakes on a Plane” of 2006. The film’s premise made the film to have a cult-like following online and with other films also following the film’s plot. Despite these films adding notoriety to snakes, the creature experienced the opposite in the tattoo industry because of the reverence of various societies of the creature in question. 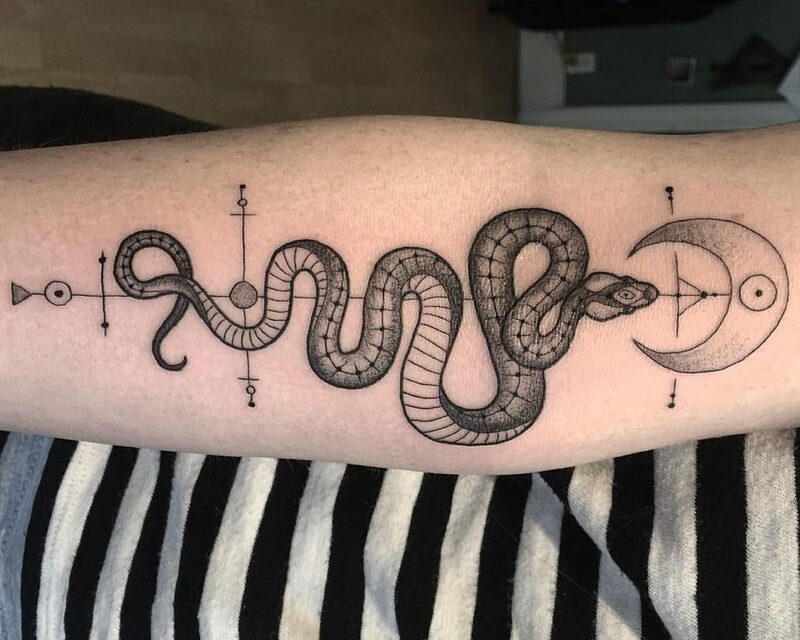 Contrary to what people believed that snake tattoos mean evil and deception, this tattoo design actually has a peaceful meaning. Snake tattoos actually mean birth, magic, renewal, protection, and fertility. For Greeks, snakes signify health and healing which is why the creature is present In Hermes’ staff. As for the Aztecs, a snake is a symbol of blessing which is why it became the symbol of the largest Pre-Columbian American civilization. In other cultures, the snake also symbolizes enlightenment. Surprised? So are we! These meanings are actually derived from the cultures where snakes are revered as magical graceful creatures that mean no harm. 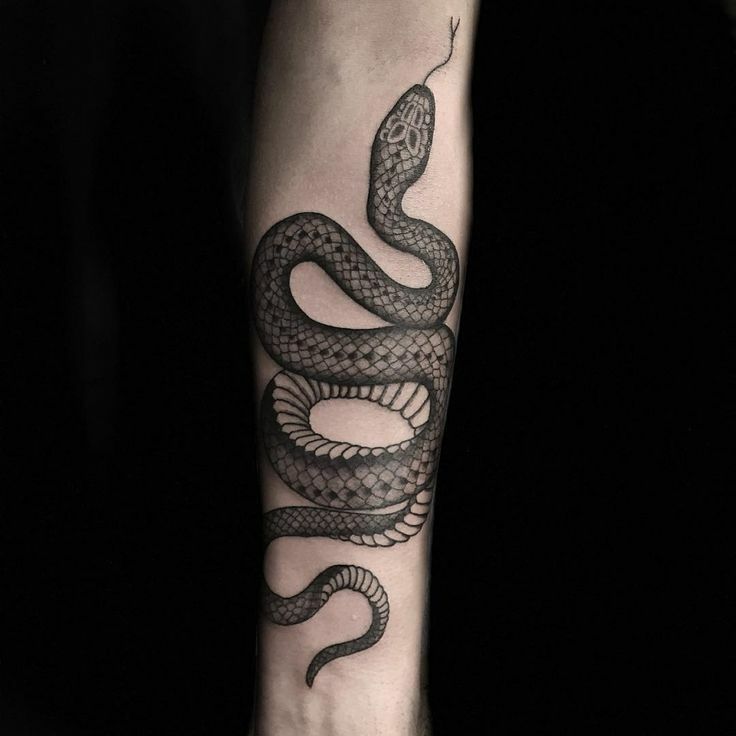 Considering that the snake is a long slender animal, if inked as a tattoo, you can twist and turn this creature to fit in your desired body location which is the reason why it is considered a classic tattoo in the industry. 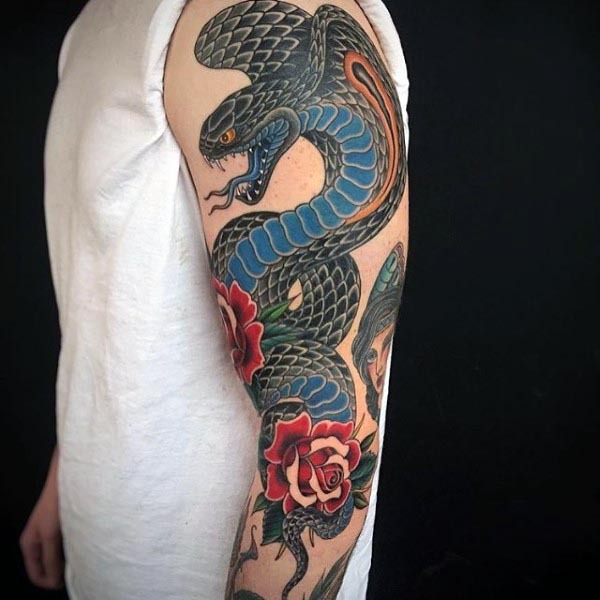 If you want something that is common and not that deviating from the usual industry placement, most snake tattoo designs are inked on the limbs (sleeve, shoulder, arm, leg, thigh areas), chest, and back areas of the body. 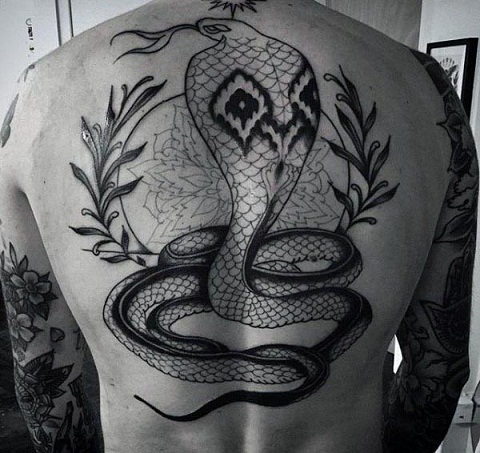 Since various cultures have a good perception of the long and slender creature, various snake tattoo designs also came up in different parts of the globe. Here are some of the designs we found that would interest you. A Viking snake tattoo or properly known as the Ouroboros is one of the most popular Viking tattoo designs, it basically represents a snake that eats its own tale. The name is actually derived from the ancient Greek language and it roughly translates to “one who eats his own tale.” People usually want this one on their bodies because it represents the cyclic renewal of eternal life. 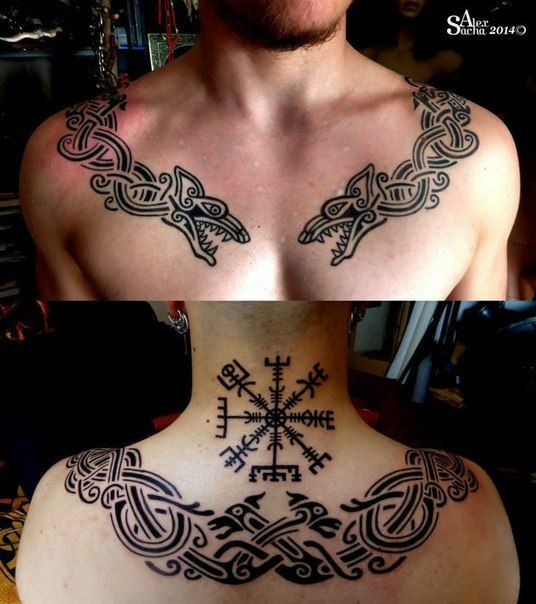 Here are some Viking snake tattoos that you will definitely love! A large sleeve tattoo of the Ouroboros. 2. 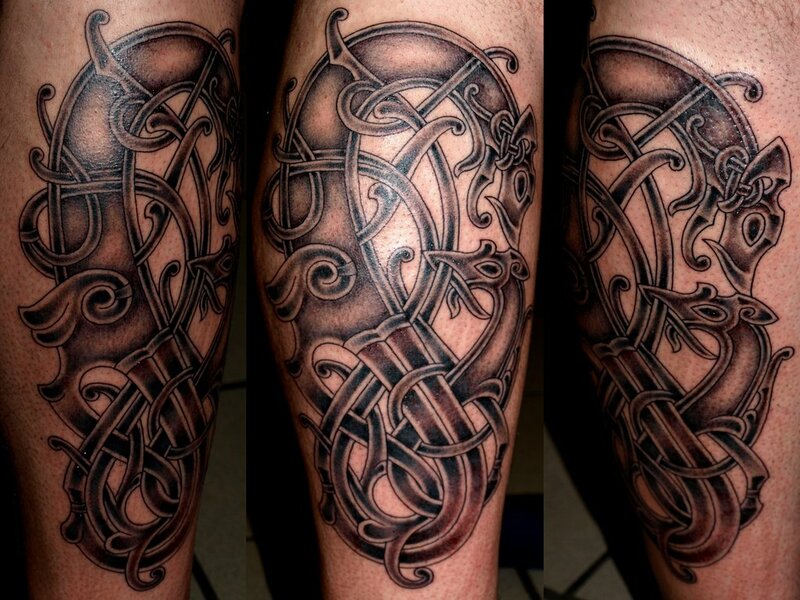 A leg tattoo of an intertwining Viking snake. 3. 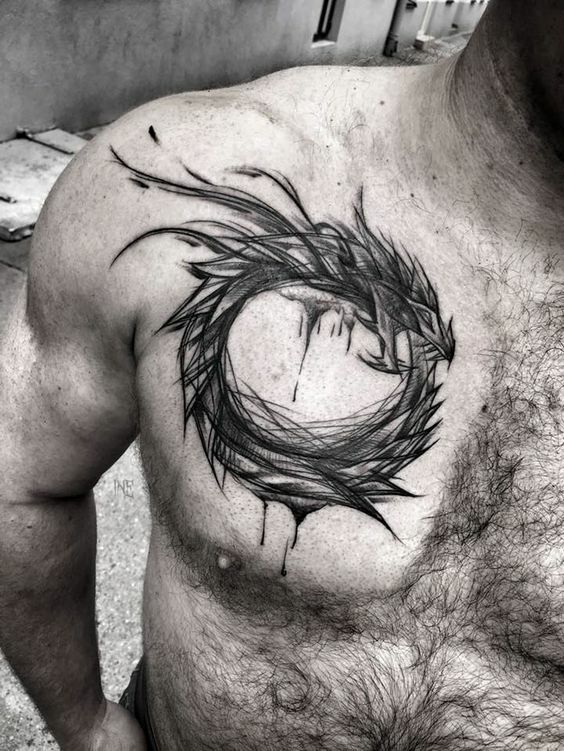 A sketch-like chest tattoo of the Ouroboros. 4. 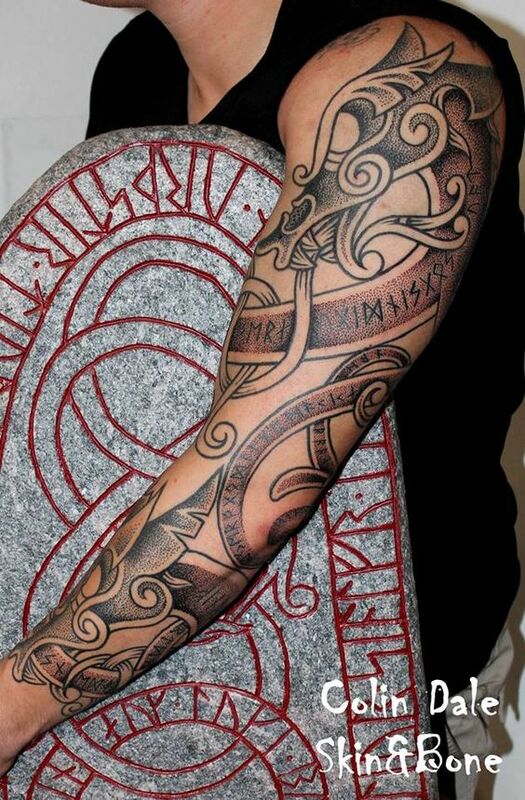 A large sleeve tattoo of a Viking snake with runes. 5. A collar tattoo of the Ouroboros. 6. 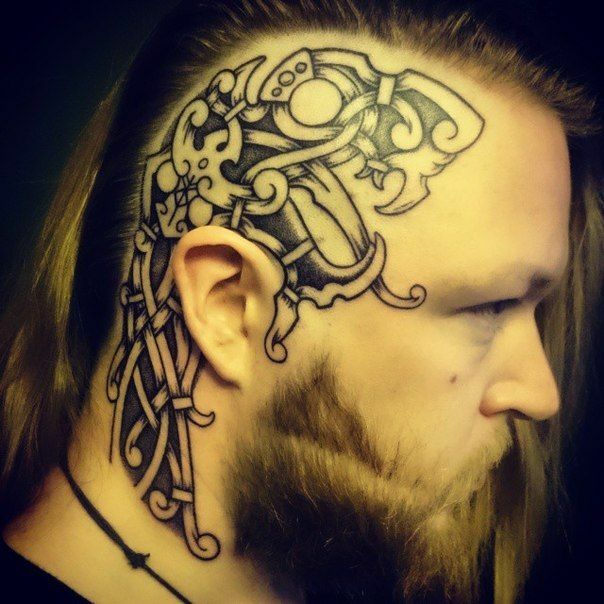 A head tattoo of a Viking snake head. From the rich fertile region of the Nile to the holy temples of Hindi India, the King Cobra is highly regarded as a sacred representation of the Divine. The snake is the royal symbol of pharaohs of Egypt that represents the king’s heavenly lineage. On the other side of the Red Sea across the Indian subcontinent, street side snake charmers make their rounds with a King Cobra in a wicker basket. They are tattooed with ink made from the snake’s venom, which according to legend, this tattoo protects the charmer from any vicious snake attacks. Like what you read? 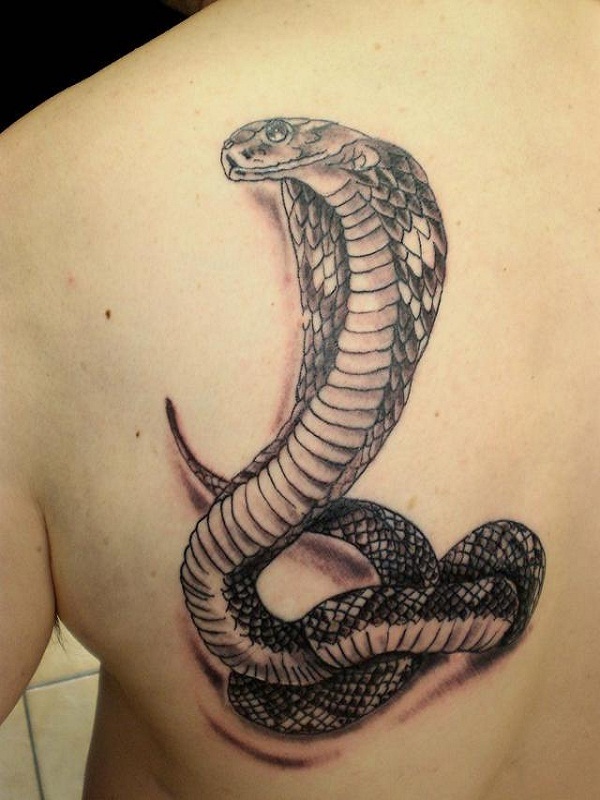 Here are some of the King Cobra snake tattoos we have seen on the web. 1. 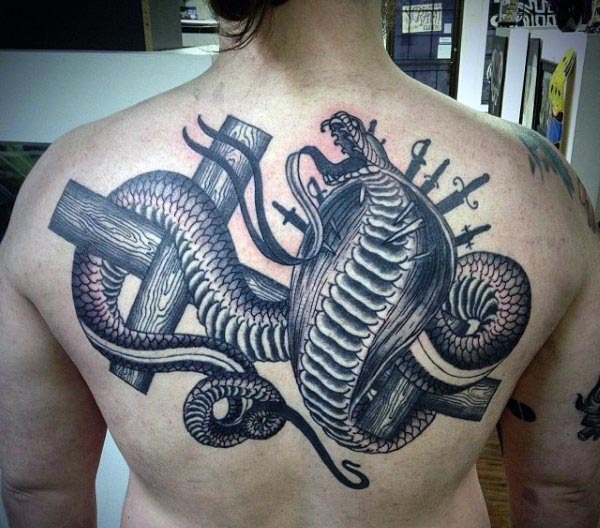 A back tattoo of a king cobra wrapping itself to a wooden cross. 2. An intricate watercolor arm tattoo of a king cobra on red background. 3. A large sleeve tattoo of a black king cobra with roses in watercolor ink. 4. 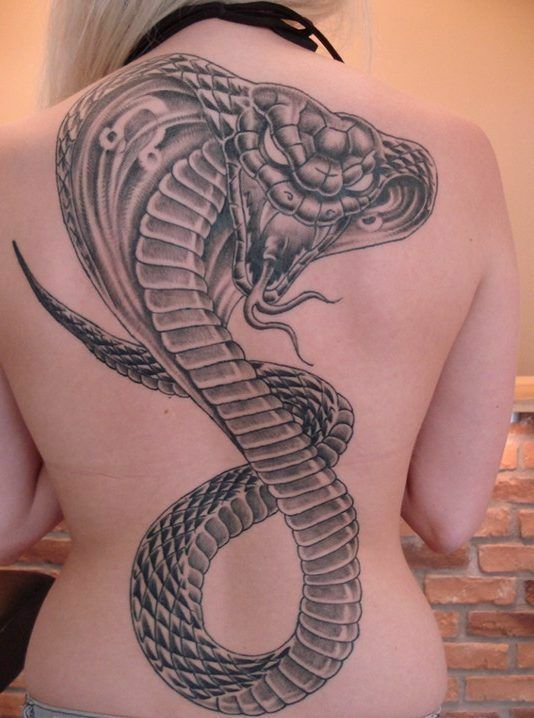 A large back tattoo of a king cobra that is about to attack. 5. A watercolor tattoo of a king cobra. 6. 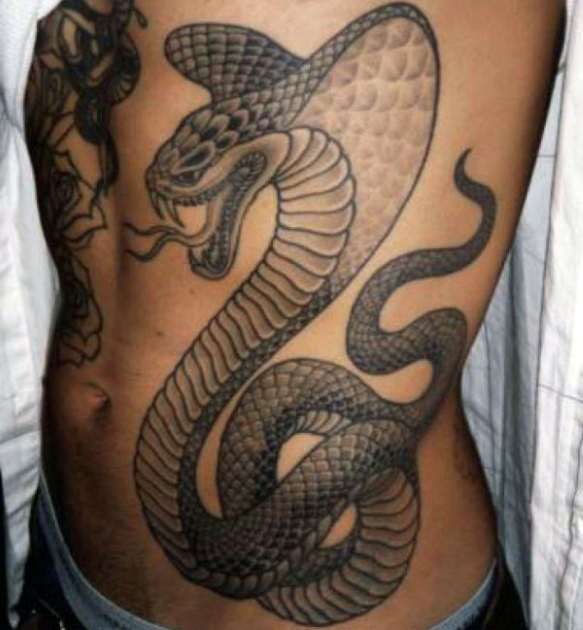 A large back tattoo of a king cobra. 7. The king cobra with its hood fully extended as an abdomen tattoo. 8. A watercolor tattoo of a king cobra. 9. A large ribcage tattoo of an aggressive king cobra. 10. 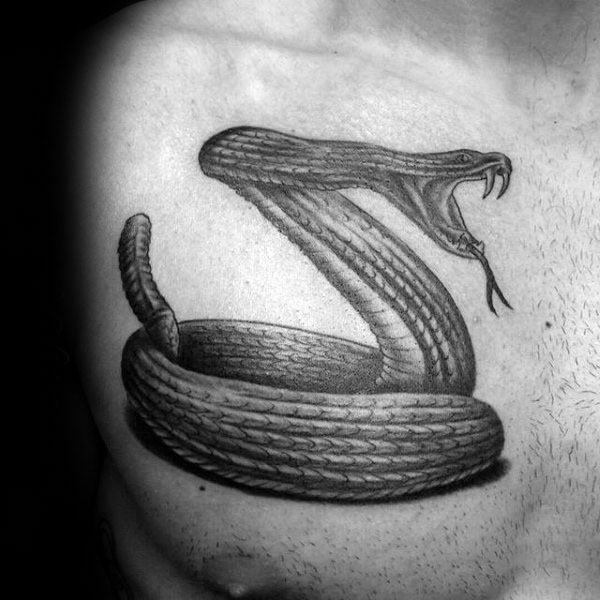 A shoulderblade tattoo of a king cobra with shadow detail. A coiled snake is a deadly creature. Once a snake is coiled, it is considered aggressive and prepared to attack at any moment. This tattoo design signifies that outward appearances can be deceptive. 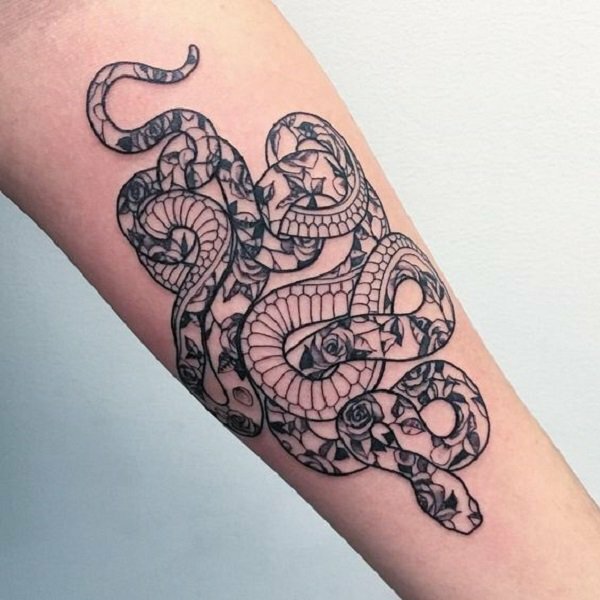 A Coiled Snake Tattoo shows the world that you have a deadly persona lurking underneath your seemingly composed and collected exterior. Feeling deceptive? 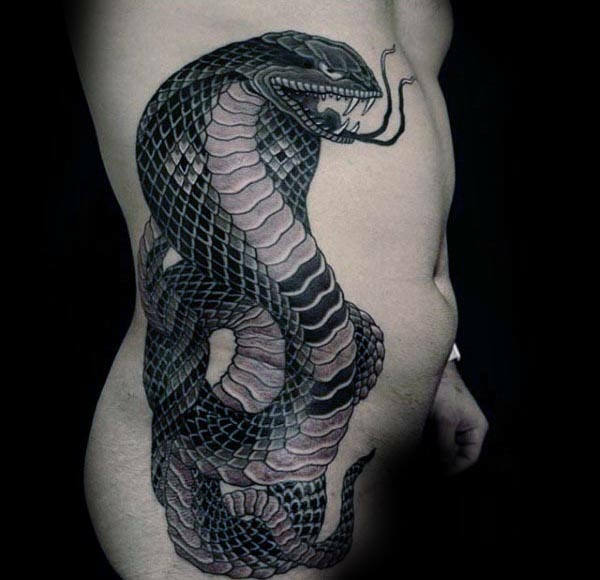 Here are some of the coiled snake tattoos we have gathered on the web. 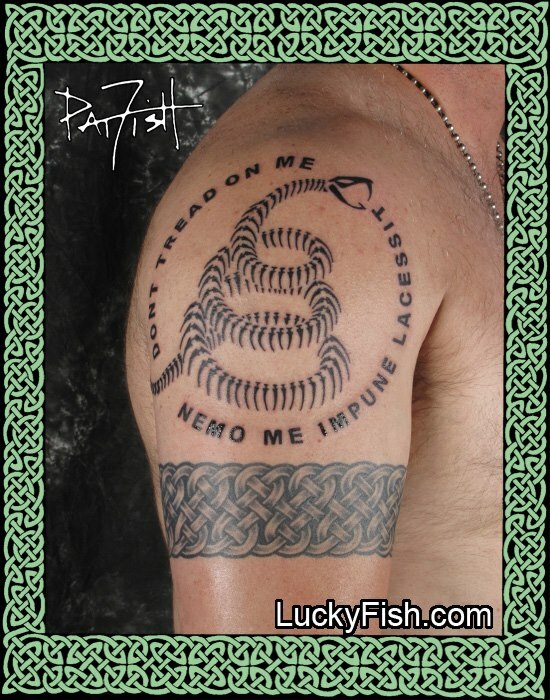 An artsy tattoo of a coiled snake surrounded by a quote. 2. A heavily coiled snake as an arm tattoo. 3. 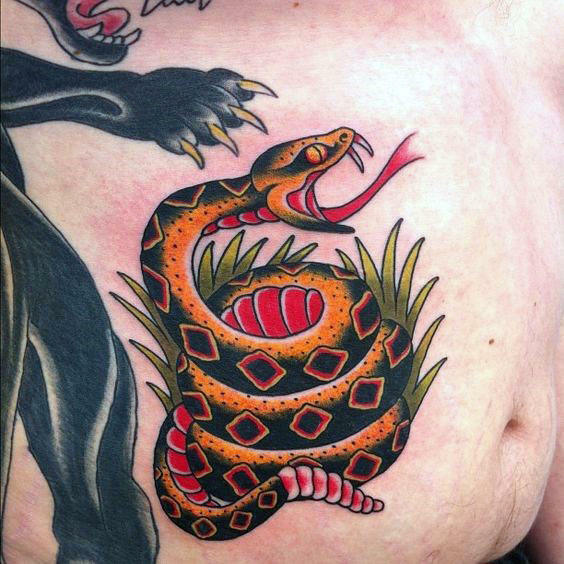 An Aztec-inspired watercolor abdomen tattoo of a coiled snake. 4. A chest tattoo of an aggressive coiled snake. 5. An arm tattoo of a slithering coiled snake. 6. 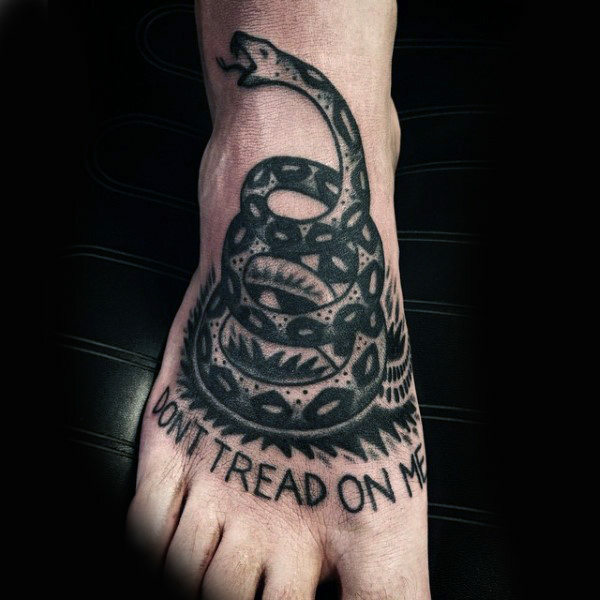 A foot tattoo of a coiled snake with the quote “don’t tread on me” below. 7. 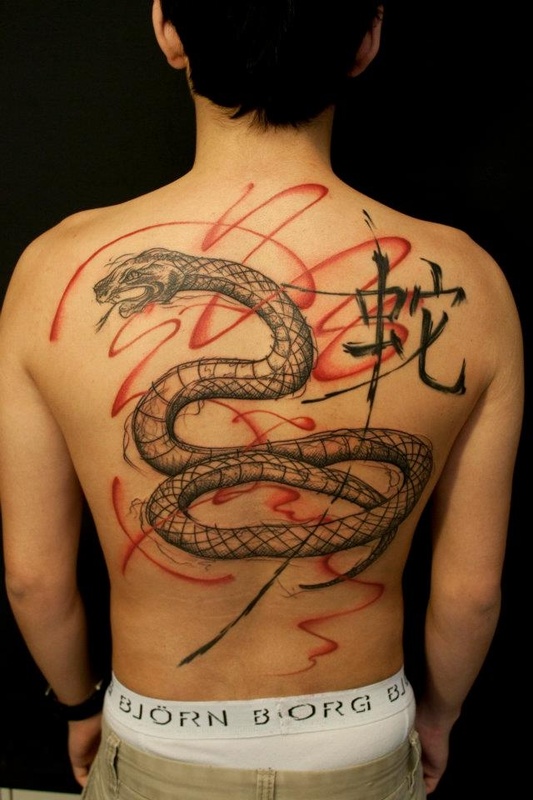 A sketch-like back tattoo of a coiled snake with Kanji characters. 8. 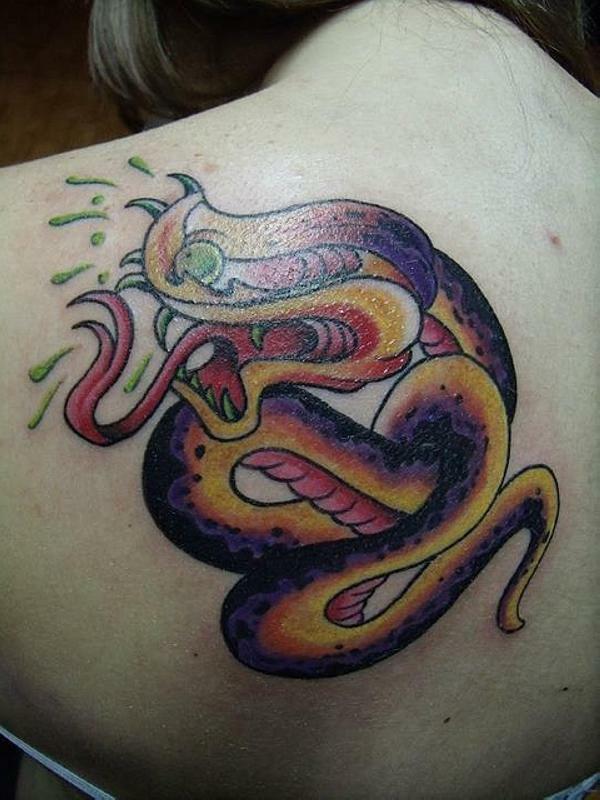 A watercolor shoulder tattoo of a snake coiling while aggressively releasing venom. 9. 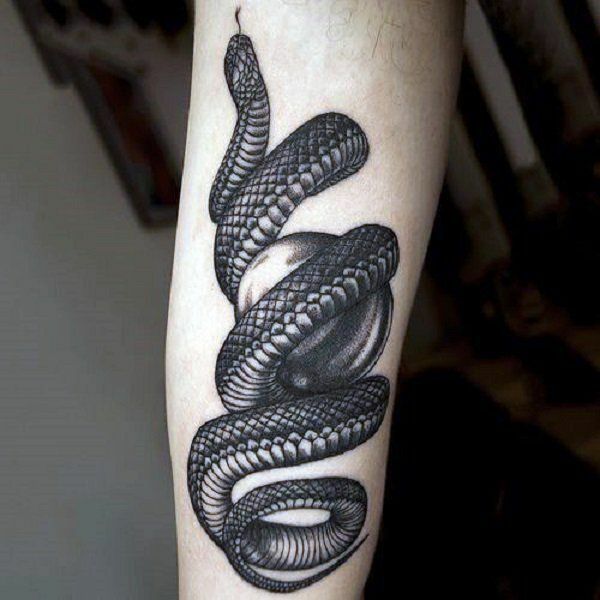 An arm tattoo of a snake coiling a ball.